Coffee crafters & baked goods dreamers. 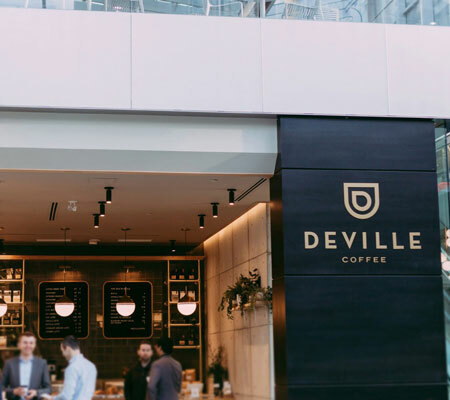 Deville Coffee has been serving Calgary’s downtown communities since 2008, growing to 6 cafés across the city, most recently in Brookfield Place. Brewing the finest direct trade coffee beans, our lattes and espresso drinks have been carefully crafted by hand since day one, with ingredients like organic vanilla, and house-made chocolate ganache. Original pastries baked daily by the team at Deville, and a menu of fresh, creative, sandwiches and salads round out the menu in our café’s.